Preston Bailey’s Signature Wedding & Event Design allows students to experience the step-by-step processes and techniques utilized by one of the globe's leading wedding and event experts, industry pioneer Preston Bailey. This course is a comprehensive "how-to” for the industry, providing real behind-the-scenes footage, photographs and documentation, including insights into what can make a wedding a one-of-a-kind, magical event for couples and their guests. This course will give you an inside look at the business-side of event design. You will learn how to manage the costs of projects, budget, and price jobs using formulas that will help you become successful. This course will give you an education on industry, history, and evolution of design, Preston Bailey’s story, the definition of event design, and the difference between a designer and a planner. You will also learn the fundamentals of design styles, which include traditional, modern, and eclectic. You will become competent working with clients and helping them accomplish their dream events by learning essential Preston Bailey’s philosophies and techniques. You will gain knowledge on building client bonds and rapport, learn how to approach your clients with the appropriate questions, and confidently present design options, in addition to upselling and offering opportunities for enhancement. This course will also train you to work with a production team to communicate clients’ preferences for their dream events. Become an expert at designing a stunning space by learning how to consider perimeters, ceilings, floors, tables, entrances, embellishments, indoor and outdoor lighting, in addition to renderings of vision and mood boards, textiles, colors, and more. 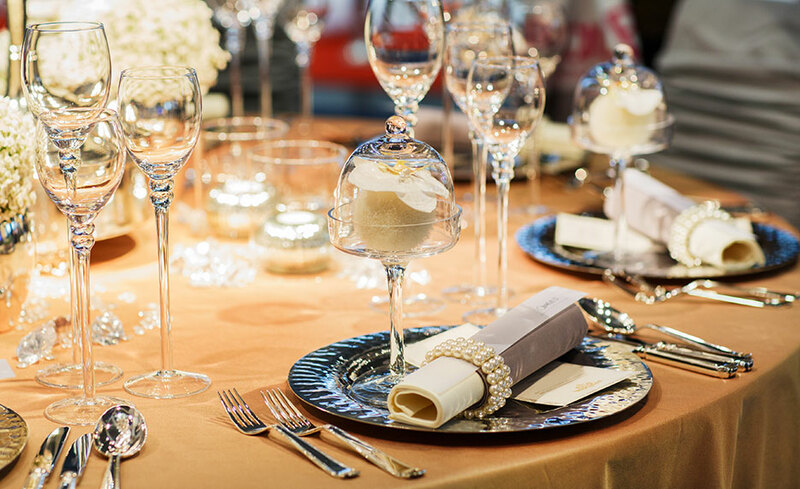 Distinguish yourself as a professional event designer by taking this course. You will learn to design event details from top to bottom including the design surrounding the activities that make an event come to life. In many cases it is the designer that extracts the emotional and personal elements of a client and weaves those personal expressions into the event design. A wedding planner taking this course will learn the art of design and how to apply design techniques to their existing knowledge and services to their clients. D. Design Presentation Process – renderings, vision/mood boards, textiles, colors, etc. This program can be taken from either a Mac or a PC. It is compatible with Windows XP and later operating systems and IE 7 and later browsers. There are no specific computer requirements other than an Internet connection, e-mail account, Microsoft Word (for assignment submissions), and Windows Media Player, which is available as a free download. It is recommended that you use the latest version of Internet Explorer in place of other Web browsers. We recommend that you take Certified Wedding Planner prior to enrolling in this course. Preston Bailey has been considered one of the world's premier event designers and tastemakers. With 30-plus years of experience with his namesake company Preston Bailey Designs, he is best known for his ability to completely transform raw, ordinary spaces, into opulent, theatrical environments, translating his clients’ fantasies into awe-inspiring realities. His one-of-kind events have attracted clients as Donald Trump, Oprah Winfrey, Uma Thurman, Joan Rivers, Donna Karan, Liza Minnelli, Matt Lauer, Catherine Zeta-Jones, Ivanka Trump, and others. Cho Phillips is the founder and CEO of Lovegevity, Inc. and the author of the textbook, Professional Wedding and Event Planning, How to Start a Wedding Planning Business and resource manual. She is also co-author of Preston Bailey's Signature Wedding and Event Design course, co-author of Dina Manzo's, It's My Party And I'll Plan If I Want To and co-author of SMART Corporate Event Planning. Cho has helped thousands of brides around the country plan their special event, and is a consultant and trainer to numerous corporations that service the bridal market. As founder of The Wedding Planning Institute and curriculum provider to over 2000 accredited colleges and universities, Cho provides an opportunity for subject matter experts to contribute to the standardization and education for wedding professionals. Cho is frequently featured in the media as an expert on wedding industry trends, professional certification, and wedding planning. She has been featured in The New York Times, Wall Street Journal, Chicago Tribune, Washington Times, Entrepreneur Magazine, Las Vegas Sun, and has appeared as a guest on NBC, UPN, WB and many other local television and radio stations across the country. No additional materials are required. 12. What is the difference between the Event Design Course and the Event Planning Course? There is a distinctive difference between an event planner and an event designer. The event planner is involved in every aspect of the logistical project management of the planning process and the event itself; however, it is the event designer that designs the event details from top to bottom, including the design surrounding the activities that make an event come to life. In many cases it is the designer that extracts the emotional and personal elements of a client and weaves those personal expressions into the event design. A wedding planner taking this course will learn the art of design and how to apply design techniques to their existing knowledge and services to their clients.